Excellent apartment that accommodates up to 6 people with all the comfort, located in the Natural Reserve of Ria Formosa, one of the most beautiful areas of Algarve. Just a few meters away from the private beach, the Resort offers a free shuttle service by boat. It has 2 outdoor pool, one indoor pool with jacuzzi. It has a beach volley and a basketball field. This apartment is stylish, modern and fully equipped, it also has 2 bicycles so you can enjoy your holiday without having to use the car. The apartment is located in a Resort which has all the facilities you need to enjoy your vacations: 2 outdoor pools, 1 indoor heated pool, jacuzzi, sauna, playgrounds and a free shuttle boat to the beach, which you can use as many times as you want! Located in Cabanas de Tavira, a beautiful fishermen village, where you can find bars, restaurantes, supermarkets and shops! We absolutely loved this apartment! It has a great location in the resort and has a lovely decoration. Washing machine, coffee machine and the 2 bicycles are also a nice touch. 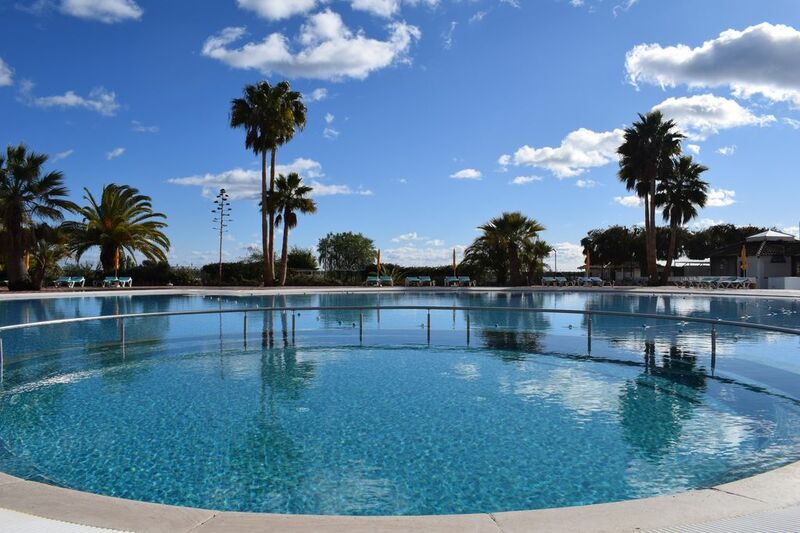 You can use 2 outdoor pools, 1 indoor pool, jacuzzi, sauna, a free shuttle boat to the beach, playing grounds, a bar... what else could we ask for? Self check-in worked perfectly and we had permanent communication with the host via whatsapp. Cabanas de Tavira is a lovely village with some amazing restaurants: Noélia and Ideal were our favourites. We will definetely be back! We loved our stay in the apartment! Really clean, modern and in great location. Very stylish and comfortable! The check-in is really easy since you only have to use a code. The resort is amazing: has 2 big outdoor pools, 1 indoor pool and jacuzzi that we loved! Also lots os playgrounds and space for the kids to play. The shuttle boat to the beach is an highlight since the surroundings are lovely! The beach is perfect to have a swim and take a walk. Cabanas de Tavira is a lovely village with great restaurants! We didn´t have to use our car. We also loved the bicycles. It was a pleasure to have you as a host. Adoramos o apartamento e a sua localização , inserido no complexo Golden Club.Com acesso a piscinas e barco para a praia. Atividades e espectáculos diários. O apartamento era muito bom e a sua localização melhor ainda perto de tudo mas muito sossegado. É nossa intenção voltar.Recomendo a quem queira passar umas férias em família. Fomos bem recebidos à chegada e decorreu tudo conforme o planeado. O apartamento está muito bem equipado e bem localizado dentro do aldeamento. Próximo das piscinas e do acesso à praia. A praia é paradisíaca mas apenas deu para visitar devido ao mau tempo que por vezes fez durante essa semana. A vila de Cabanas também foi uma surpresa, principalmente pela boa gastronomia local (aconselho uma visita ao Restaurante Noélia e Jerónimo). Ainda melhor do que esperava! Óptimo aldeamento, calmo e com uma envolvência muito agradável e tranquila. O apartamento estava bem mobilado, limpo e equipado com tudo o que foi necessário (a maquina de lavar foi particularmente útil). A piscina interior e jacuzzi revelaram-se excelentes para relaxar nos dias de pior tempo. Felizmente tivemos a sorte de apanhar dias com bom tempo o que nos permitiu ir à bela praia da ilha de cabanas. A senhora que fez a recepção foi muito simpática e mostrou-se sempre disponível para nos ajudar caso fosse necessário. The place is lovely if the weather had been better.